Tobey Maguire has been dragged into a bankruptcy case … all because he’s really, really good at Texas Hold’em poker. 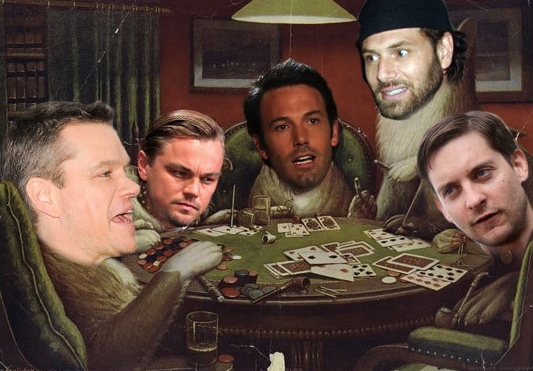 Tobey, Leo DiCaprio, Ben Affleck, and Matt Damon often played high-stakes, Texas Hold ’em poker together, where tens of thousands of dollars regularly changed hands. Tobey is being sued by the trustees in the bankruptcy case involving Brad Ruderman, who’s currently in prison for running a Ponzi scheme. Ruderman was allegedly involved in some of these illegal, unlicensed poker games with Tobey, who came out on top to the tune of over $300,000. The trustees feel the scheme was illegal so they want Tobey’s winnings back. 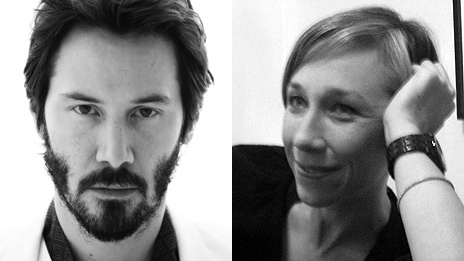 Keanu Reeves has developed a reputation in the media for being a bit glum and lonely. In recent years, the notoriously private actor has suffered a series of personal tragedies including the deaths of his long-term girlfriend and baby daughter. 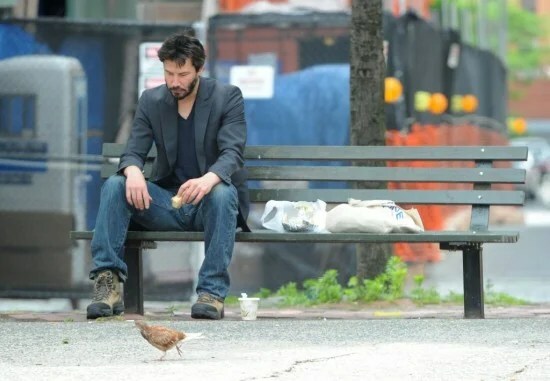 Then last year, a picture taken of Reeves sitting alone on a bench eating a sandwich fuelled his lonely image and sparked a “Cheer up Keanu” campaign on Facebook. 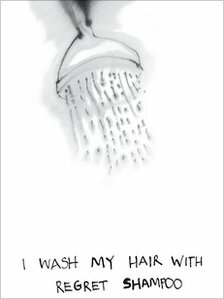 The slim, handstitched book is a poem penned by Reeves, with a line on each page accompanied by simple blotted ink drawings by Los Angeles artist, Alexandra Grant. “I thought it was fantastic,” says Reeves. 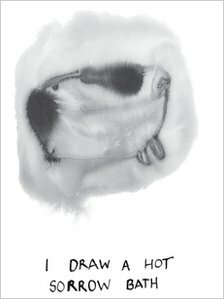 “Holding it I just had this moment of looking at it and going ‘wow, if I’d like to have this, then other people would like to have this,’ so we tried to make it a work as a book.” Reeves is keen to stress that the poem is not a true reflection of his personal life, nor was it designed to counteract his media-created lonely image. It is almost exactly a month since Mozilla released the beta version of Firefox 5 and the final version is now available for download. This is exactly when we were expecting Firefox 5 in Mozilla’s “rapid development release cycle”. Firefox 5 replaces thus it’s predecessor Firefox 4, which has had over 200 million downloads across Windows, Mac and Linux. Paris Jackson tweeted the photos over the weekend , as this Saturday marks the two-year anniversary of their father’s death. (I can’t believe 2 years have passed already :|) The Jackson kids recently got a glimpse of the coolest Michael Jackson memorial yet — in the form of a SICK custom-painted motorcycle … depicting the King of Pop at various stages in his career.